We need a long-term strategy that allows all our students to reach their full potential—not one that accepts that an entire segment of our citizens will grow up with limited options, simply because of the color of their skin or the neighborhoods they grew up in. That’s why last month we launched MBK Ohio, Ohio’s first-ever statewide coalition of My Brother’s Keeper. As part of the Kirwan Institute at The Ohio State University, MBK Ohio will work closely with the Obama Foundation to offer support, resources, and guidance to help Ohio communities sustain and grow their local My Brother’s Keeper chapters. President Obama launched My Brother’s Keeper (MBK) in 2014, challenging cities across the country to work to combat the persistent opportunity gap between young African American men and their peers. Data collected by the Kirwin Institute at The Ohio State University illustrates the challenges young African Americans in Columbus face. They found that one in five children of color in Columbus live in neighborhoods with “very high vulnerability,” exposed to poor performing schools, poverty, inadequate health care, and unsafe neighborhoods. That doesn’t mean all of these kids are failing – it means that our society has failed to provide these kids with the same opportunities as their counterparts. President Obama’s call to action encouraged communities to implement a cradle-to-college-and-career strategy to ensure that all young people can reach their full potential, regardless of the color of their skin or the zip code they live in. Ohio has risen to that challenge. In 2015, we launched our first two Ohio MBK programs in Dayton and Columbus. The chair of the Obama Administration’s MBK task force, Broderick Johnson, came to Ohio for both events. Over the next two years, we worked with community partners in cities all over Ohio to launch MBK efforts. We now have 10 chapters across the state, and we’re among the top five states in the country. We brought Broderick Johnson back to Ohio to kick-off efforts in Cleveland and Akron. We held launch events in Mansfield and Springfield, Stark County and the Mahoning Valley. And we brought another Obama administration official to Toledo and Lorain, to kick-off their MBK programs. After President Obama left the White House, we knew we needed to work to keep these efforts going, and coordinate them around the state. We are not going to let President Obama’s work be undone – we’re building on his legacy. We must have that same commitment in Ohio. This change starts from the ground up, in communities across the state. It’s a youth group at First English Lutheran Church, where boys can talk to older mentors about the problems they see in their communities and their schools. It’s a high-school senior, volunteering at the food bank to take on food deserts in his community. And it’s a local DJ teaching hip-hop and dance to kids at his neighborhood community center. But to make a lasting impact throughout Ohio, we need statewide coordination to identify what works, and share ideas and resources. That’s what MBK Ohio will do. I’m grateful to our local chapters for their hard work and The Ohio State University for helping make MBK Ohio a reality. While there is still important work to be done, this is one step toward following through on our commitment to setting all Ohio children up for success. 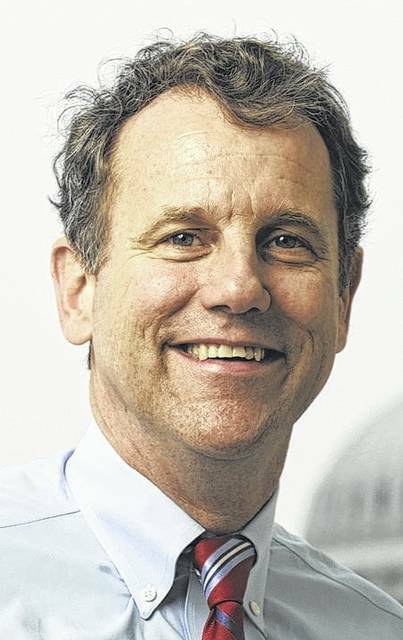 Sherrod Brown represents Ohio is the senior US Senator and guest columnist.